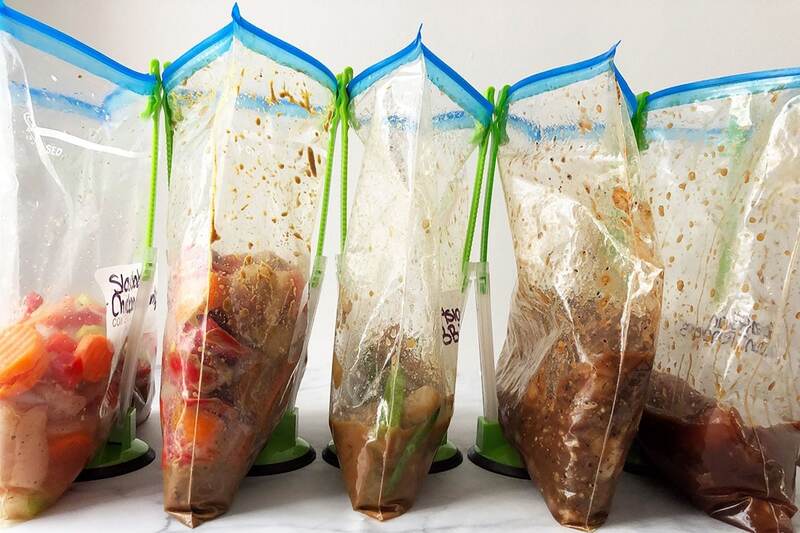 Do you like the idea of meal prepping, but are worried about it taking too much time or being too complicated? 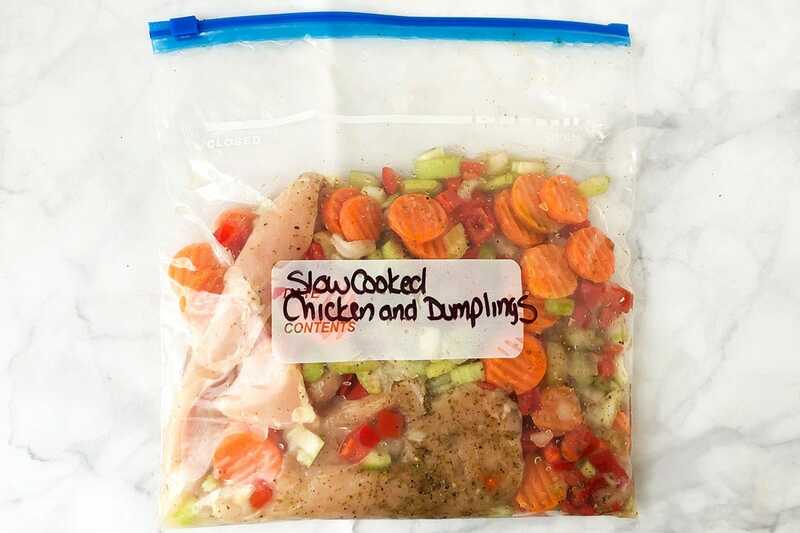 These tips for fast meal prepping will help you get dinners ready in no time! Whether you have been cooking for 30 years or have never cooked before, these meal plans will make dinner easy all week long. My family used to spend so much time in the drive-thru, but now we always know what we are having and it’s on the table quick. Find an hour during your week and use these tips for fast meal prepping to start enjoying dinner as a family! After grocery shopping, go ahead and get the meat into bags. I like to use a sharpie to label each bag with the name of the meal and the meat sell by date. If you do have to end up putting something in the freezer later on, you will appreciate it being labelled. How many of you have found a meal in the freezer and had no idea what it was? Been there, done that! Separating the meat into bags when you get home from the store will save you some time on prep day. You also won’t have to worry about cross-contamination and washing your hands in between every meal if you prep the meat all at once. When it is prepping day, start by setting out all of the ingredients for every recipe. One extra tip for fast meal prepping: When I get home from grocery shopping, I like to go ahead and put any prep day ingredients I bought in baskets. I have one for pantry items and one that goes into the fridge for cold items. This just saves me a few extra minutes because I am not dragging it back out again. Go down the list of prep day ingredients for each recipe you are prepping and set it out so you are not having to go back and forth between the pantry and fridge. This really will make prepping go faster! Even if you have a small prep space, you can still make this work with a little creativity. I put a large cookie sheet over one side of my sink to create extra countertop space. Get creative! One more time saver: go ahead and open all cans, spices, and packages before you get going! 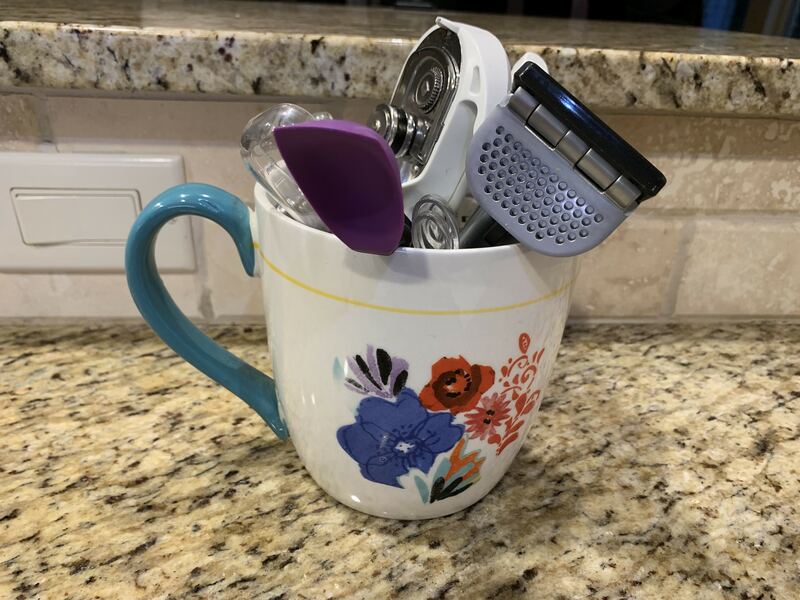 I keep a prep caddy on my countertop that has all of the prep tools I use from week to week. That way I don’t have to get out my prep tools each time. Before you start prepping, fill one side of your sink with hot, soapy water. After you dirty a dish or utensil, throw it in that sink. This will just make clean up go even faster when you are done! For faster meal prep and clean up, grab a large bowl and line with a plastic sack to use for trash can as you go along. You would be surprised how much time can add up with trips back and forth to your trash can! 6. Turn up the music and get prepping! Now that all everything is set out, you are ready to prep! This is the fun part! For the 5 dinners recipes, follow the right column on the recipe where it says “Assembly directions”. Turn on some music and have fun with it! If you have kids, get them in the kitchen and let them help! These meal plans really do make it easy for children to help, and they will love shaking up the bags once everything is added! When you are done prepping, store the meals in the fridge. 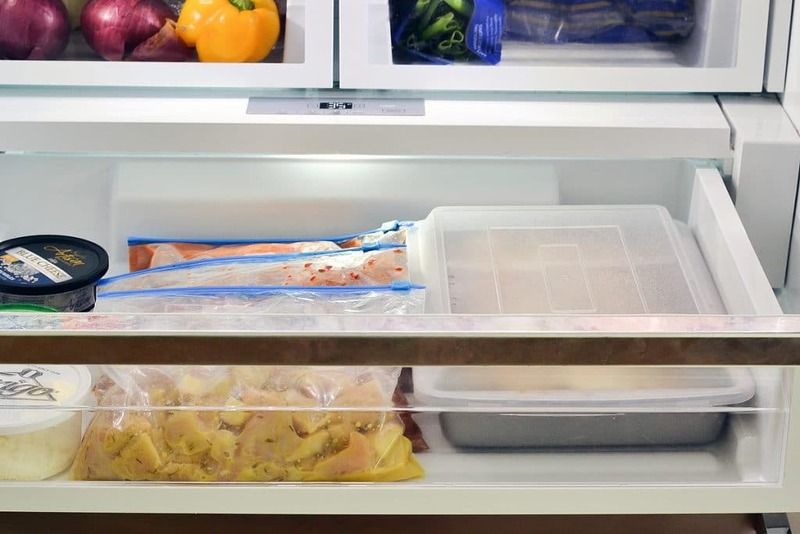 Many people like to store the bags in the meat drawer so they don’t take up extra room. Follow those tips for fast meal prepping and it will be a breeze! Every time you open your refrigerator, you will feel so good knowing dinner is ready to be cooked!